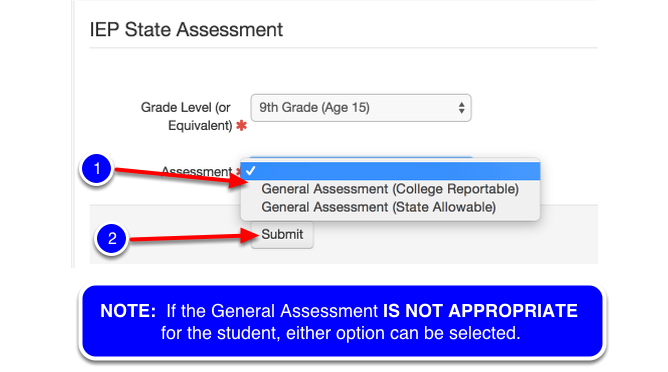 The addition of General Assessment (College Reportable) and General Assessment (State Allowable) have been added to the State Assessment Page within the IEP process for both the ninth and tenth grades. This lesson will walk you through how to select the appropriate assessment for a student. Note: The State Assessment options are the SAME for ninth and tenth grade but this model will walk you through options using the ninth grade. 1. 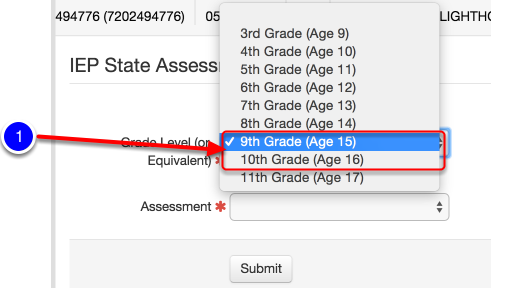 Select the appropriate grade or age level for the student. Note: The steps (process) is the same for either ninth grade or tenth. 1. 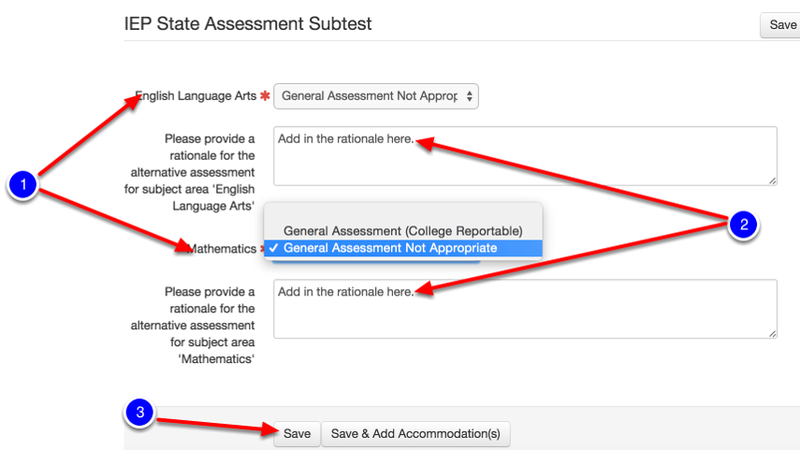 Select the appropriate General Assessment Option of either General Assessment (College Reportable) or General Assessment (State Allowable). 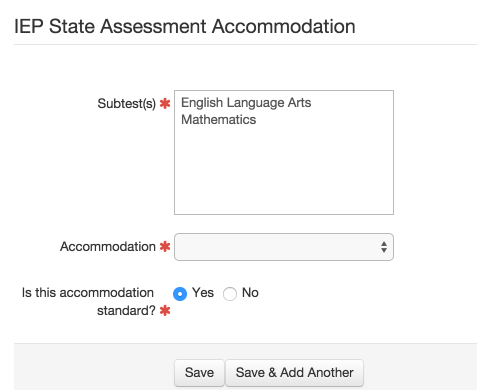 NOTE: If the General Assessment IS NOT APPROPRIATE for the student, either option can be selected. 1. Select General Assessment Not Appropriate for each subtest.